This is the time of year that brings a frenzy of activity - especially in my profession - as clients prepare their homes for the holidays. At first, it may seem that the focus is on the preparations, getting ready for a special day or specific gathering. But it is ultimately about WHO we are preparing for – most often our families – that is the center of all our efforts. The word family goes far beyond genetics and bloodlines. The meaning of family encompasses not only our relatives but often our friends and neighbors, too. Recently I had that meaning of family also reach back into history in a special way. Living in a historic property has been an amazing experience for my husband, John, and I. We spent the better part of a very intense 12 months completely transforming what would eventually become my interior design studio AND our home. Through this experience, we developed an intimate relationship with this 113-year-old building getting to know each little detail as we reconstructed it from the inside out. We have also had the honor of sharing the rebirth of this historic property with over a thousand people as we opened up our home for two home tours. It was a pleasure sharing all the details of our renovation with others who could appreciate our passion for bringing this beautiful old home back to life. You see, in the 1960s our building, which was originally a private residence, was sold and converted to commercial office space. I have been able to glean a few details about how the house originally looked by speaking with three previous owners, but none of them had any photos. For instance, I learned that originally the front parlor had a corner fireplace with a hand-carved rosewood mantel and surround complete with Moravian tiles. But unfortunately, this had been sold off at some point over the years. I also learned that the transom over the double doors between the front parlor and living room had a unique hand-carved fretwork. However, no photos existed to help us replicate these special details during our renovation. Through the Bethlehem Historic District Association (BHDA) we have met some wonderful friends and neighbors. They even helped us research the house’s history when we were invited to be part of their Holiday House Tour last year. Honestly, we were not expecting to find such a vibrant neighborhood community in this city environment. But perhaps even more surprising is a new relationship that developed a few months ago I when I received an email from a complete stranger. On any given day I would have sent this email to my “trash” folder, but something told me I needed to read on…. As it turns out Doug was reaching out like a beacon of the past to share his knowledge of the history of our home and the family who lived here. In fact, it was Doug’s great-grandfather who had built our home in 1905 and his grandmother grew up here. Doug now lives in Ontario, Canada, so we have never met in person. But through many emails and sharing of photos, both old and new, we have pieced together the story of our mutual home. It’s been so much fun to see the photos of the original fireplace and transom fretwork and to see how they compare with our own attempts to bring back the character of our historic home. Now, when I walk the halls of my home, I feel a new connection to the family that built this house and the generations of love and laughter that previously filled its rooms. This wonderful new connection has made this house even more of a home for our family. 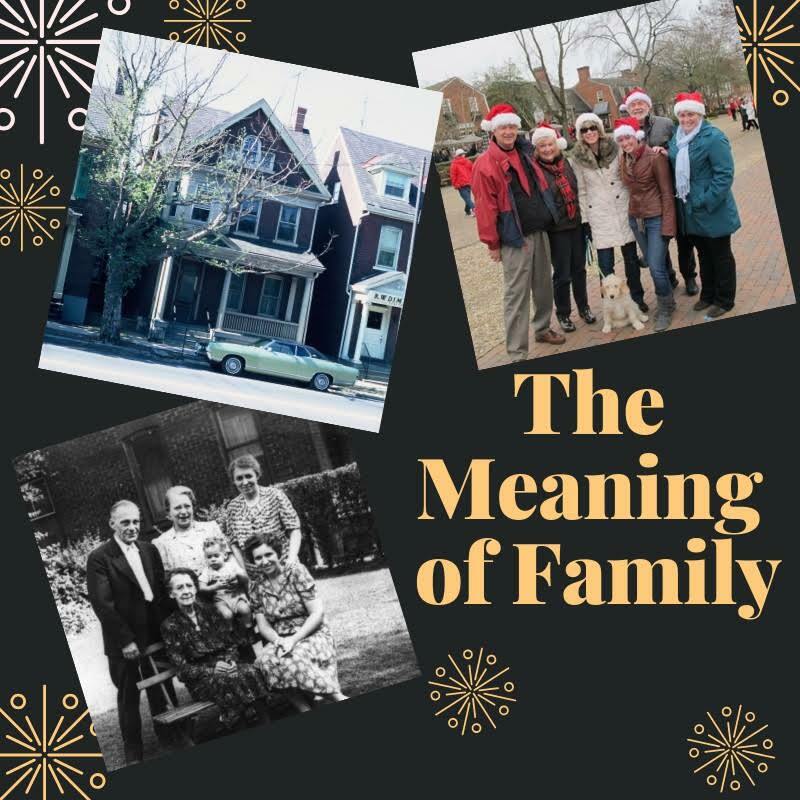 We feel our home’s history is now complete and the family of the past will live on in my family for years to come, especially as we celebrate this special time of year – what a gift! Are Window Treatments Making a Comeback?